EPISODE 470: Who Said So? Becoming conscious about your thoughts, and where they come from is a start in creating the life you desire. Also, choosing WHO you’ll allow to speak into your life is vital. TRUTH won’t lie to you. 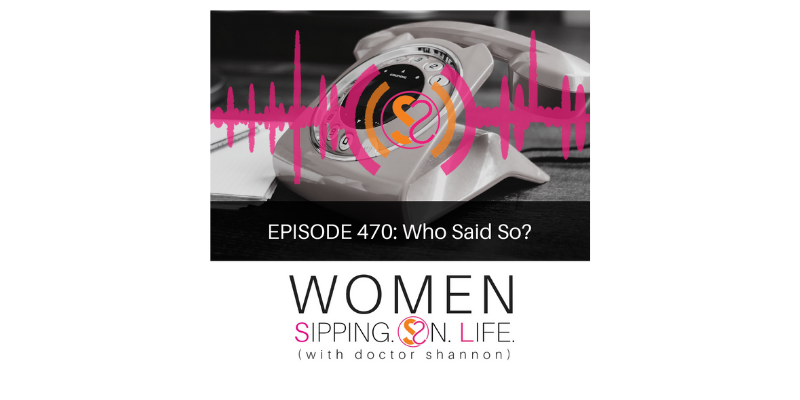 You are the ONE qualified to speak into your life…are you willing to tell yourself the TRUTH? Are you willing to become the BOSS of YOU, and get on board with the true desires of your heart? Answer this question for yourself: Who said so? Who comes to mind when you ask/answer this question? Start exercising your power to have a SAY IN YOUR DAY, my dear. Take action today in what you SAY you DESIRE.